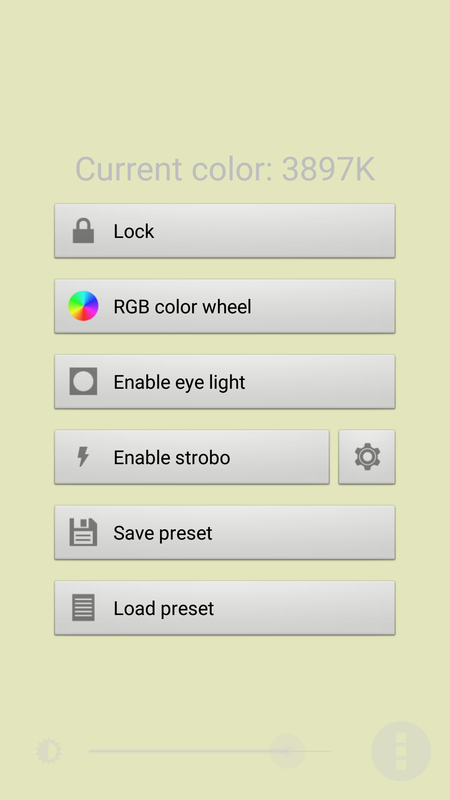 Pocket Softbox is an Android app (available from Google Play) that turns your smartphone or tablet into a nice low level lighting source when photographing at night. In the photograph shown above, I used Pocket Softbox for two purposes. 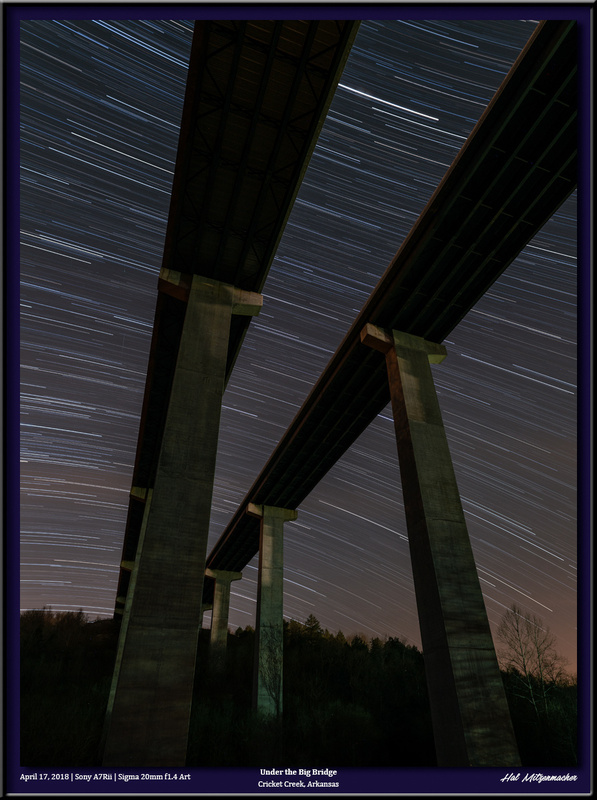 First, I used the app to light the trees during the course of several long exposures by walking up and down the roadway, holding my phone in a manner that cast light up into the treetops. 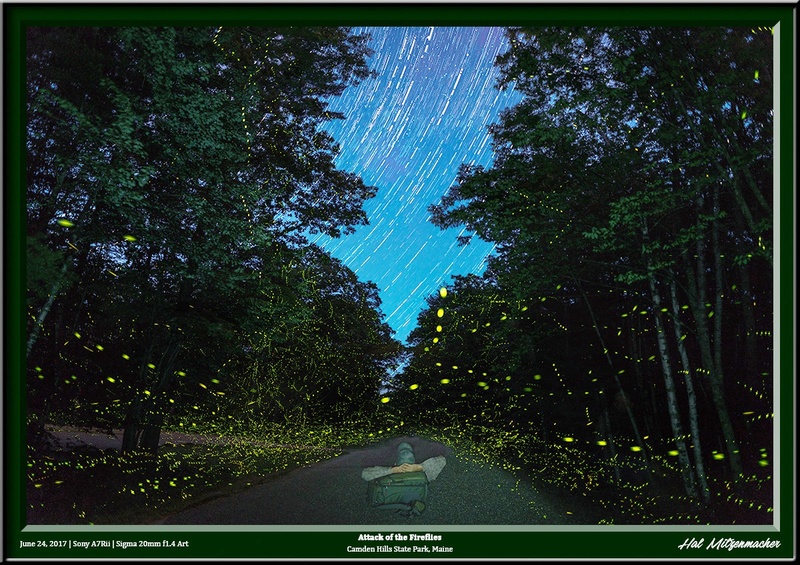 Second, whenever the ubiquitous fireflies settled down and ceased their display, I found that by walking around for a minute or two with the Pocket Softbox app set to 3200°K, the fireflies would resume their flashing display. 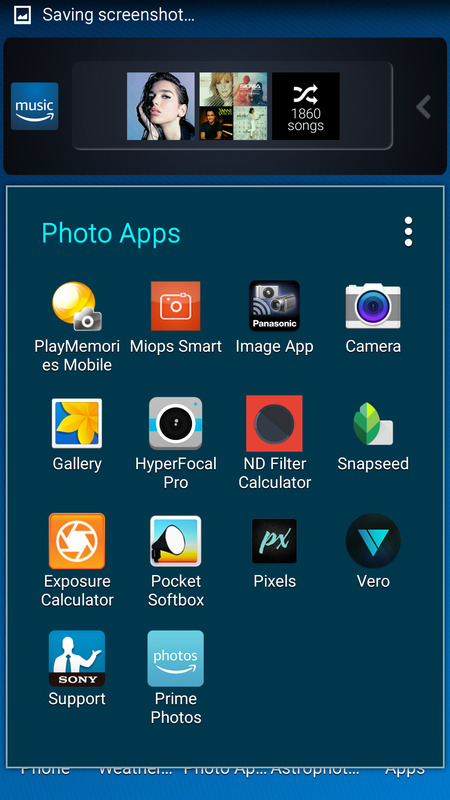 Simply clicking on the Pocket Softbox icon (above) instantly brings up the app in the last mode that was used. This is what the app look like in use.  I have selected a lime green color by sliding my finger in a vertical direction on the screen, and the brightness was selected by sliding my finger horizontally on the screen. 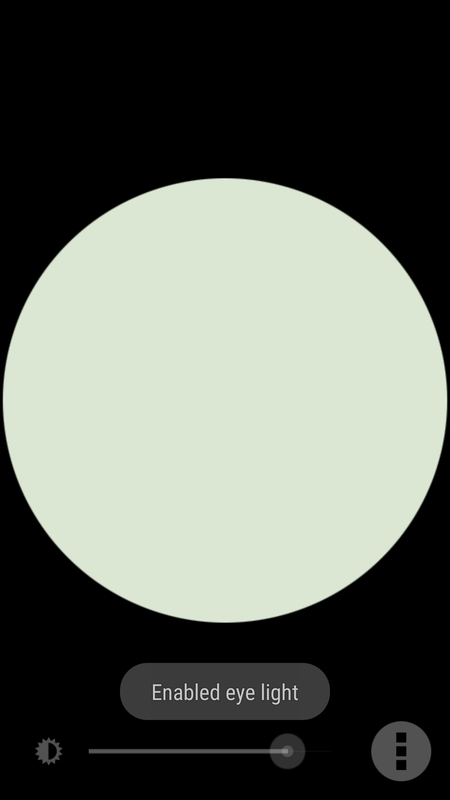 The settings can be locked, which prevents inadvertent changes in color or intensity. In RGB color wheel mode, any possible color in the RGB color space can be selected, so if you want to light paint with color, this is the mode to use. 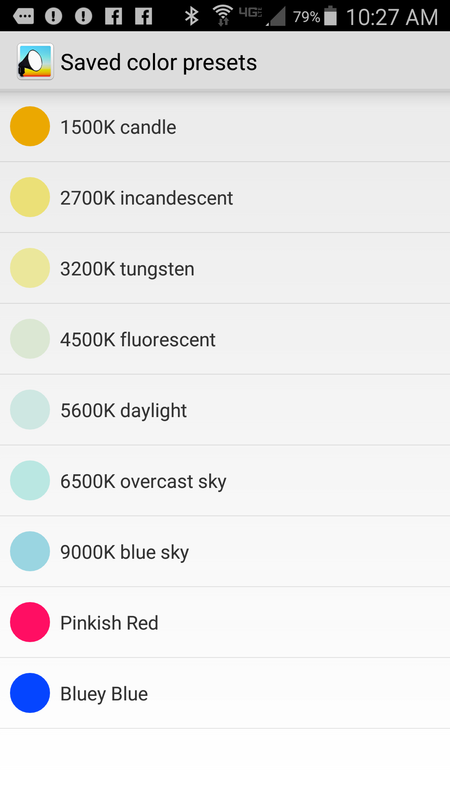 If you select the Kelvin Color Scale mode, the app produces white light at the selected color temperature. 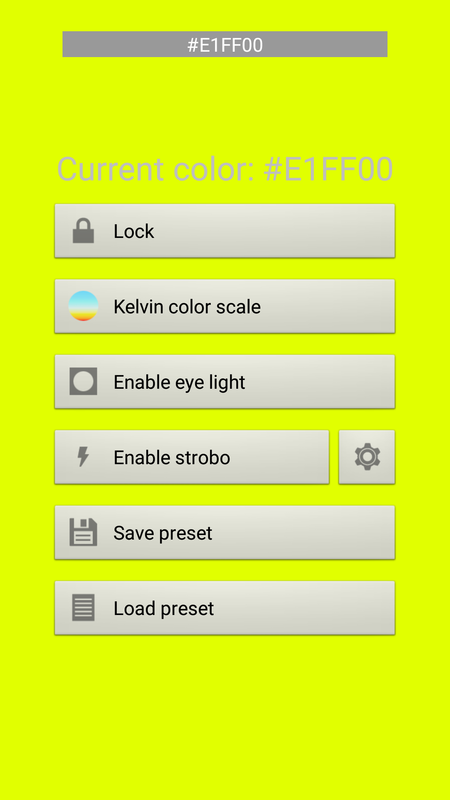 The app comes with 7 commonly used Kelvin presets, as shown above, but you can save any number of your own commonly used settings as a preset. As an example, I named and saved two – Pinkish Red and Bluey Blue. 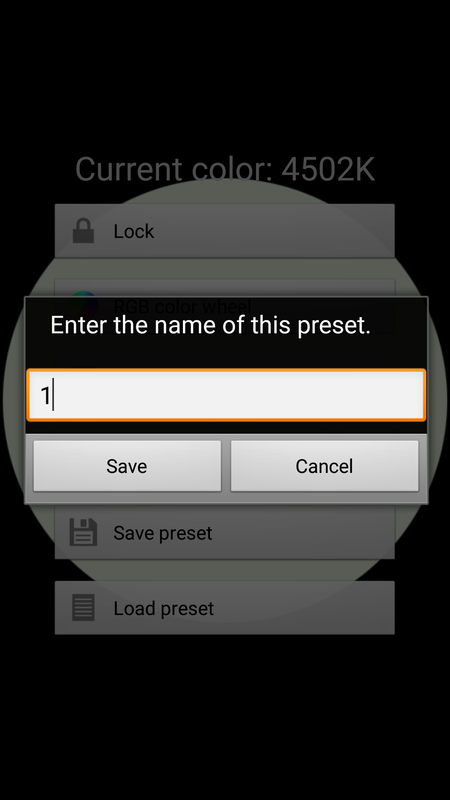 Saving a preset is as easy as selecting Save Preset from the menu and entering the name you want to use in the dialog box. You can choose to use Eye Light mode from the menu, which produces a round shape as seen above. I have not found anything useful about Eye Light mode for my photography, with the exception that it is also used in Strobo mode. When Strobo mode is selected from the main menu, you are presented with the screen above, where you choose the duration of the light and dark cycles. The app will then flash your chosen color on and off through the Eye Light circle, using the parameters you have set on the screen above. 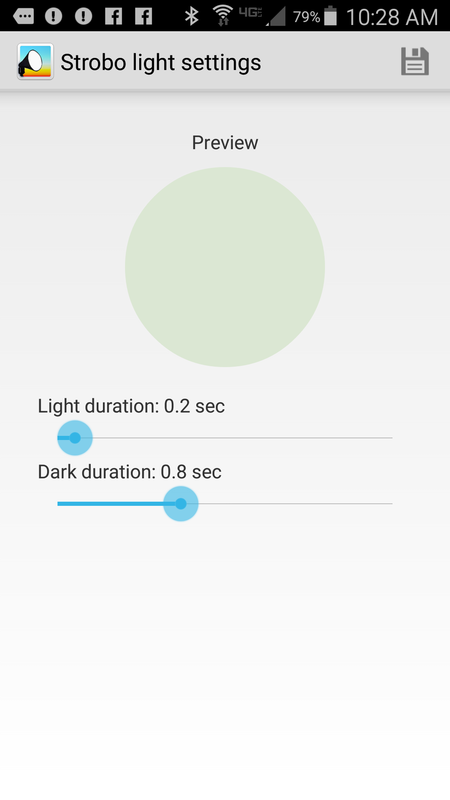 This is useful for helping control the amount of light being added to the exposure by counting the number of times the light flashes. Not enough fill light? Up the number of flashes. Too much fill light? Reduce the number of flashes. This makes your light painting controllable and repeatable. I recommend this app without reservation. It is free, has no advertising, is small, and requires no special permissions. A very nice simple light painting tool to have in your bag of tricks! 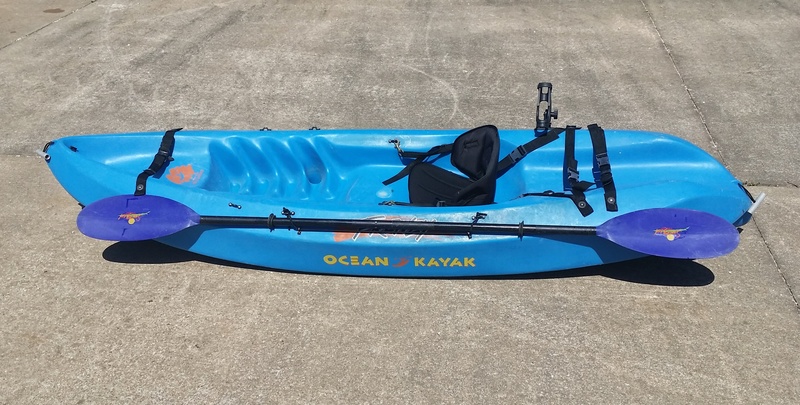 This heavy-duty Ocean Kayak Frenzy solo sit-on-top model is an ideal blend of design concepts that make it well suited for various kayaking conditions. 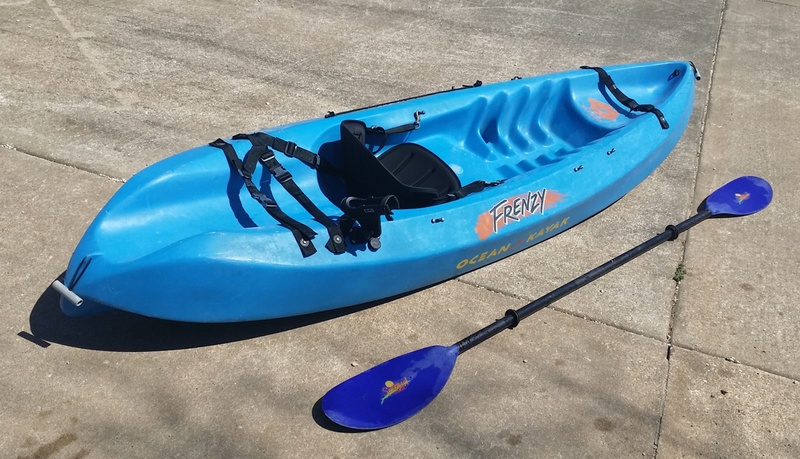 From ocean kayaking, surf riding, river floating and moderate white water, the Frenzy does it all. The shorter length of the Frenzy compared to other models allows for excellent maneuverability, while the tri-form hull and keel design creates a kayak that tracks in a straight line without undo fuss on the paddler’s part. 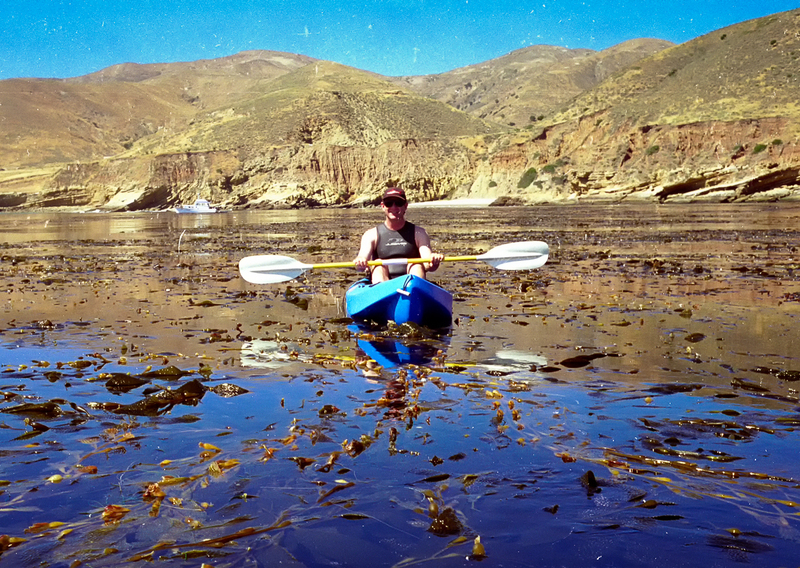 The wide stance of this kayak makes for a very stable kayaking experience. It is easy to board from in the water, and actually takes an effort to capsize this boat. This is a particularly fine kayak to scuba dive from due to its outstanding stability. 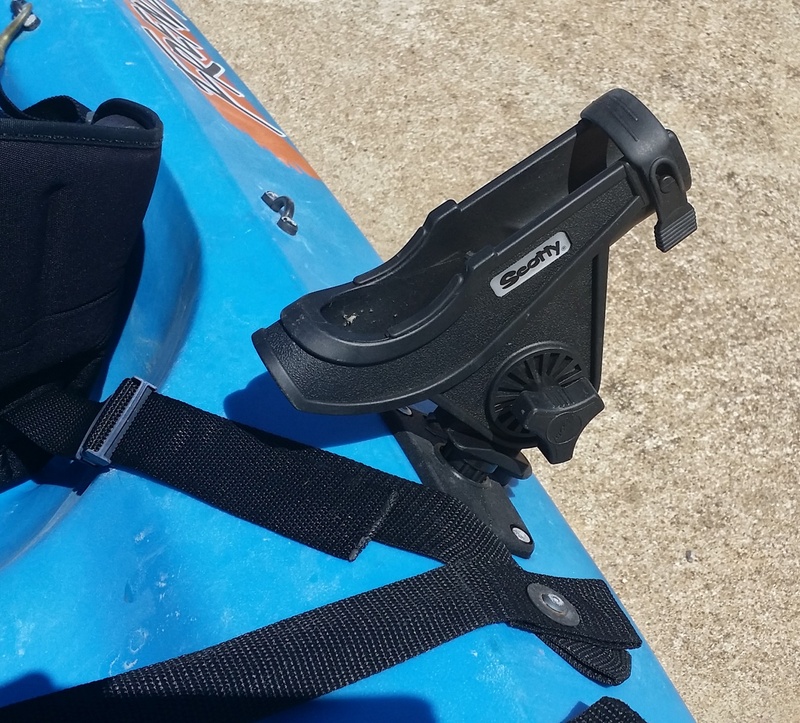 There is a tank holder molded into the stern of the kayak, and heavy duty straps to hold all your gear. Here are additional views of this kayak. 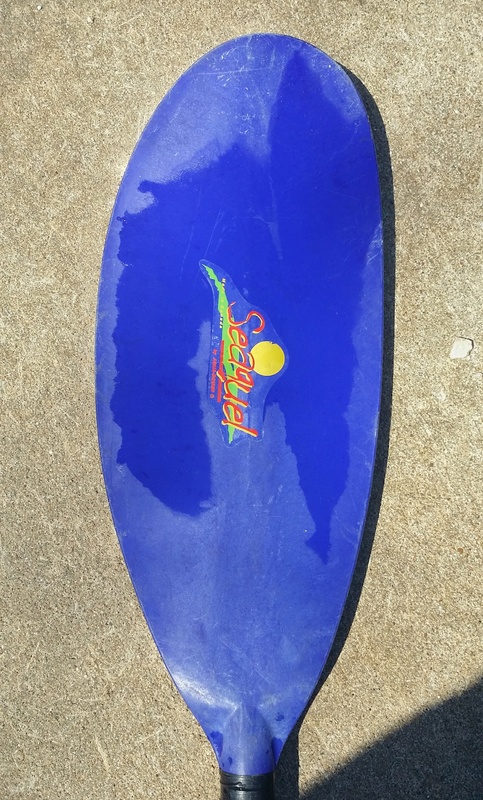 It is an older design than is produced today, lacking a molded-in cup holder and side handles, otherwise, the design is essentially the same as the current Frenzy model from Ocean Kayak. I have added on the Scotty Bait Caster/Spinning Rod Holder pictured above. I have also added a bungie cord style oar holder on the side opposite the rod holder, so fishing off this kayak is a breeze, especially with the stable, wide stance this kayak provides. Also included in the sale is a fine quality Aqua-Bound Seaquel oar. This oar separates into two sections for easy storage and transport. This is an aluminum oar, which Aqua-Bound has discontinued, but I paid approximately $70.00 for it when new. This is truly an ocean worthy kayak. I used it with much enjoyment at California’s Channel Islands National Park while living aboard my trawler in Southern California. 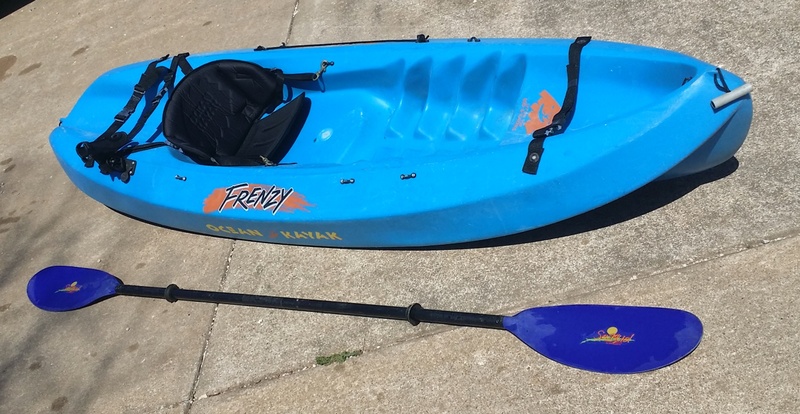 You can’t go wrong buying this kayak and oar for the bargain basement price of $150.00. You will have to come pick it up in the Omaha, Arkansas area. Cash only – first-come, first-serve! E-mail me at hal@mitzenmacher.net if interested. 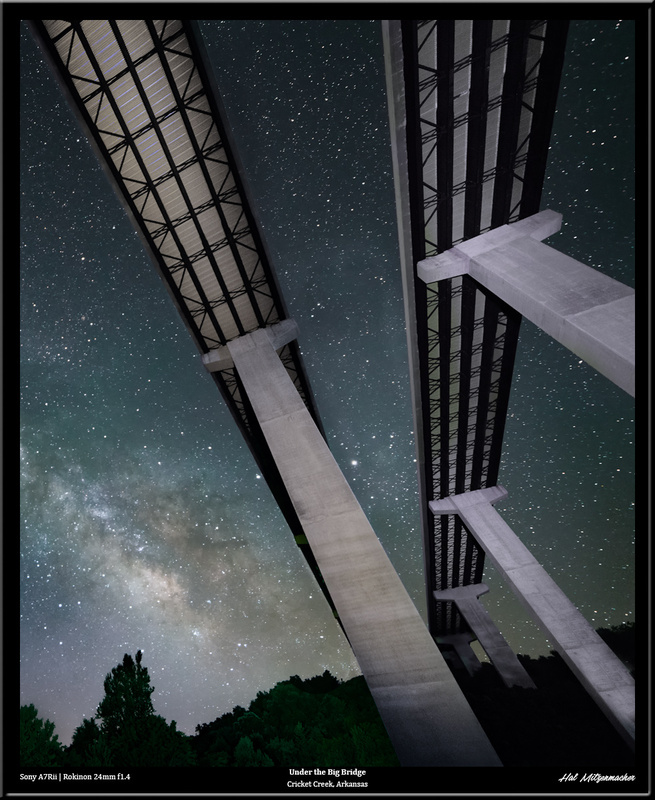 Here are a few variations of the view from underneath the Big Bridge that passes over Cricket Creek in Boone County, Arkansas. 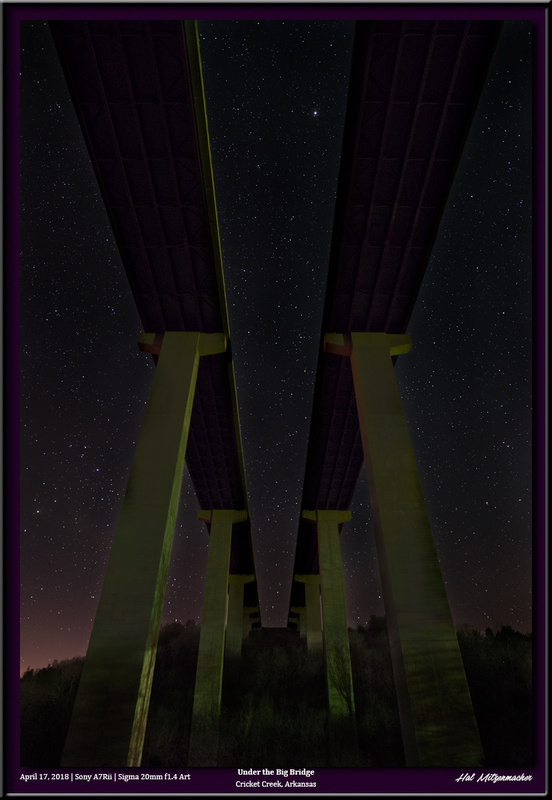 This one features the Milky Way with some extreme light painting of the bridge structure using a ProtoMachine LED2 flashlight. This image was taken using available light and consists of 12 exposures, each at 4 minutes/ f4 / ISO 400, for a total of 48 minutes of star trailing. And finally, this is a single 10 second exposure at f2.0 / ISO 6400 to capture pinpoint stars, using only available light. The Big Bridge is located near my home, so I often go there to capture images to test new equipment or techniques. Its interesting that the same subject can capture a different feeling each time I go and shoot it.